Do you have trouble getting your kids to read? Or do you have problems with the stories available to them? This book contains EIGHT fun children's stories that are engaging, easy to read, delightfully illustrated, and teach valuable life lessons. Whether you read this book aloud to your preschooler or give it to your first-grader to read on his own, this book is sure to be a family favorite! Homeschoolers will especially appreciate this style as they probably are familiar with it through reading the Classics, Rod and Staff books, and from their own art. You get a much better deal with buying the set than with getting each individually! 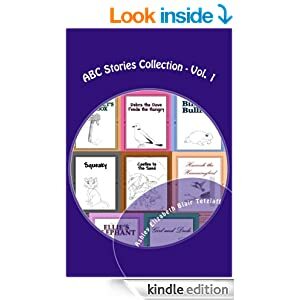 This ONE BOOK contains: Mr. Moppet's Mailbox, Debra the Dove, Billy the Bullfrog, Squeaky, Castles in the Sand, Hannah the Hummingbird, Ellie's Elephant, and Girl and Dude.